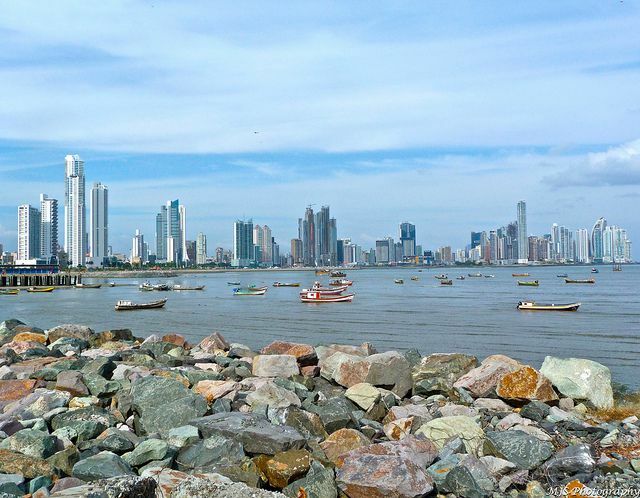 Panama is a country in Central America famous for its eponymous canal, gorgeous beaches, and great shopping. It's a wonderful place for a vacation and should definitely be on your bucket list. Plus, Panama has a fascinating history, from its days as a Spanish colony to the construction of the Canal. The Panama isthmus was first explored by Spanish conquistador Rodrigo de Bastidas in the year 1501. Panama became the Spanish Vice-royalty of New Andalucia in 1519. In 1821, Panama declared independence from Spain and joined the Republic of Gran Colombia, which became the Republic of New Grenada in 1831. The years between 1850 and 1900 were tumultuous for Panama: during this time there were 40 different administrations, 50 riots, five attempted secessions, and 13 interventions by the United States. Panama finally achieved complete independence on November 3, 1903, with assistance from the U.S. The treaty to construct the Panama Canal was signed on November 18, 1903, between Panama and the U.S. The Panama Canal was built by the U.S. Army Corps of Engineers between 1904 and 1914. Between 1904 and 1913, some 5,600 Panama Canal workers died, mainly due to disease. The Panama Canal stretches 50 miles from Panama City on the Pacific coast to Colón on the Atlantic side. The cargo ship Ancon was the first vessel to transit the Canal on August 15, 1914. The lowest toll paid was $0.36—it was charged to Richard Halliburton, who swam through the Canal in 1928. U.S. troops controlled the Panama Canal until 1999, when Panama assumed full control. The Panama Canal contributes $1 billion to Panama's economy each year. The oldest continually operating railroad in the world is in Panama. The Panama Railroad opened in 1855 and runs alongside the Canal. At Panama's narrowest point, the Atlantic and Pacific are only 30 miles apart. Panama is rarely hit by hurricanes due to its southern location. The highest elevation in the country is the summit of Volcán Barú at 11,401 feet. There are more than 1,500 islands in Panama. Panama has the most diversified wildlife of all the countries in Central America as it's home to species native to both North and South America. There are more than 10,000 different plants species in Panama, including 1,200 varieties of orchids. Panama elected its first female president, Mireya Moscoso, in 1999. The late Senator John McCain was born in the Panama Canal Zone, which, at the time, was a U.S. territory. Baseball is the most popular sport in the country. Panama is considered one of the best places for retirees given its affordable cost of living, great healthcare, and use of the U.S. dollar. Panama was the first Latin American country to adopt the U.S. currency as its own. While the U.S. Dollar is the official currency, the national currency is the Balboa. The Panama hat is not actually made in Panama but in Ecuador.